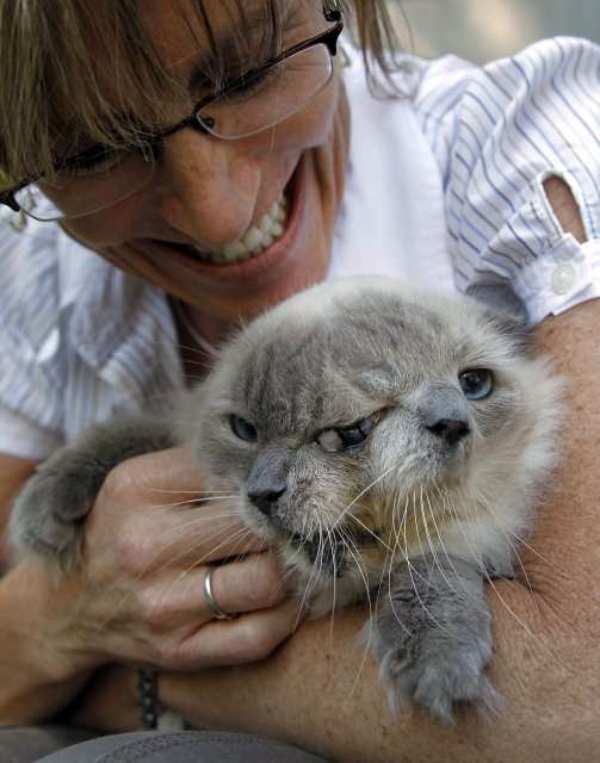 (Reuters, September 28, 2011) - Frank and Louie, a gray feline with two mouths, two noses and three eyes, just turned 12 years old and is the world's oldest, living two-faced cat. Marty told the local radio station that "the cat is more like a dog because it walks on a leash and loves car rides." Also known as Diprosopus, craniofacial duplication is the medical term used to describe a malformation of the human face, though, in some even rarer cases, there is duplication of the cerebral frontal lobes. 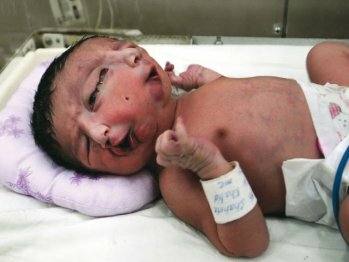 Someone suffering from craniofacial duplication isn’t actually a “conjoined twin” because, in most cases, the abnormality is not the result of the fusion of two embryos. In most cases (but not all), it’s merely a widening of facial features and the wider the features, the more the faces are duplicated. The rare times this happens, the babies are usually stillborn, and, for one reason or another, occur mainly in India. The most famous of these was Lali Singh who was born in India on March 11, 2008, but died two months later. 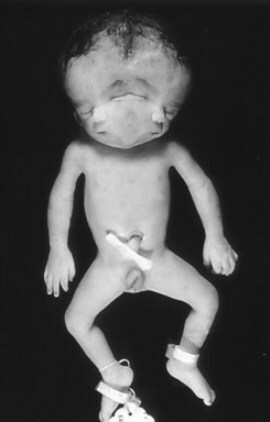 Diprosopus often occurs in combination with other congenital disorders, particularly anencephaly, neural tube defect and cardiac malformations. When present, the brain may show abnormalities ranging from partial to complete duplication of brain structures, and/or underdevelopment of brain tissues. Doctors say there’s a 1 in 2.5 million chance of a child being born with Diprosopus. Few two-faced animals have survived due to associated internal organ abnormalities and brain abnormalities. One of the most famous was Ditto the pig. Ditto was raised to adulthood, but died of pneumonia caused by food inhalation when breathing through one muzzle while eating with the other. 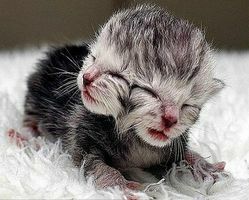 Cats with the condition are known as 'Janus cats', after the Roman god. 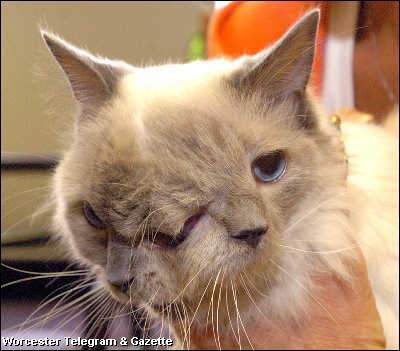 In July 2006, a 6-year-old male Janus cat called "Frank and Louie" from Millbury, Massachusetts USA received publicity. In his case, only one esophagus (and possibly only one trachea) was functional and this aided survival. 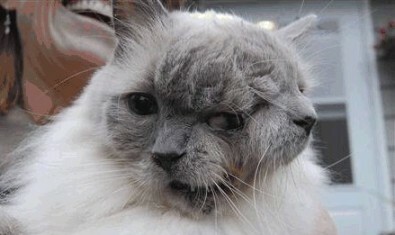 In September 2011, when Frank and Louie was 12 years old, it was announced that he will appear in the as the longest-surviving Janus cat on record.